In his quest toward the Breeders' Cup Classic, Godolphin's Thunder Snow had his first breeze since the Jockey Club Gold Cup on Saturday at Churchill Downs. The 4-year-old son of Helmet was officially given a time of 1:04 3/5 for five furlongs, but carried a solid pace throughout a one-mile workout, picking up a bit for the final half-mile and galloping out strongly after the wire. Thunder Snow ran second in Belmont's Jockey Club Gold Cup to longshot Discreet Lover, beaten just a neck on the wire. Before that, the colt finished eighth in the Group 1 Juddmonte International at York, his first start after the five-month layoff that followed his Dubai World Cup triumph in March. 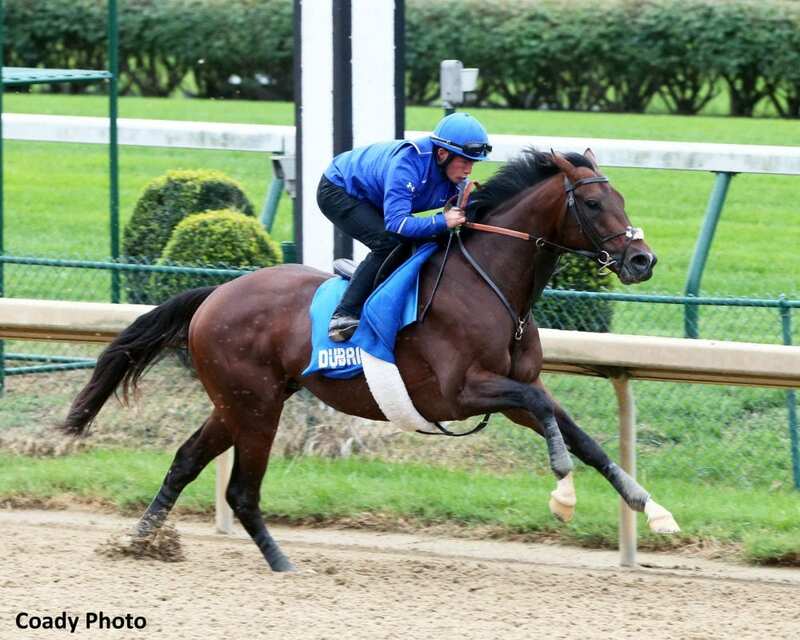 Burns explained that Thunder Snow is often lazy during his morning workouts, and was not quite 100 percent before his start at Belmont but has continued to improve in the last three weeks. This entry was posted in Breeders' Cup, NL Article and tagged Breeders' Cup, breeders' cup classic, churchill, churchill downs, dubai world cup, helmet, jockey club gold cup, saeed bin suroor, thunder snow, tommy burns by Paulick Report Staff. Bookmark the permalink.